Pure white and fragrance in abundance ! 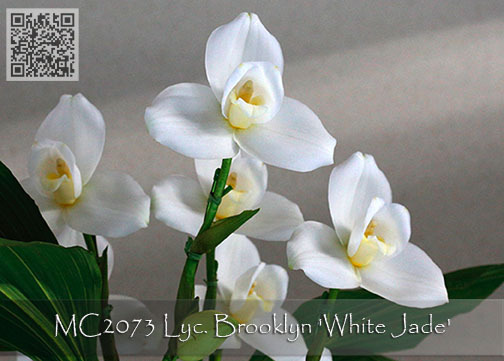 This particular clone, ‘White Jade, is one of the more rare color forms of the fragrant hybrid Lycaste Brooklyn, complete with white petals and lips, most clones being heavily overlaid with pink to raspberry. With just a touch of color in the lip, it presents a stunning display. 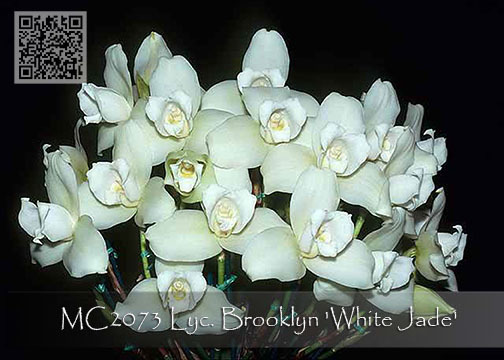 Capable of producing multitudes of spikes for a white on fully mature plants, ‘White Jade’ is Highly Recommended !